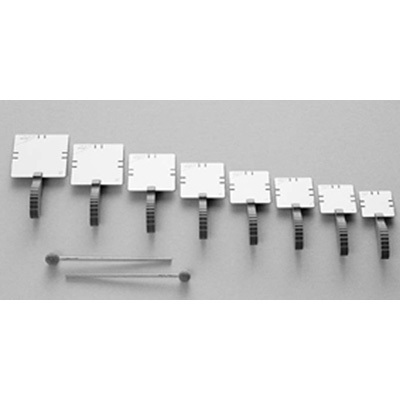 Sen-Plates are tuned handled aluminium sound plates producing a beautifully clear sound. Each tone can sound soft or powerful according to the intensity and the way the plate is struck. As these Sen Plates are lightweight and have a large square play and strike area, they are particularly suitable for special needs as well as for Improvisation, Music or Sound Therapy. Colour: Metallic-Silver with grey ergonomically designed handle. Set includes: 8 plates - g2, a2, c3, d3, f3, g3, a3, c4, and 2 mallets.